I cut out the hand shapes by hand and curved them to hold tiny fine silver spheres. 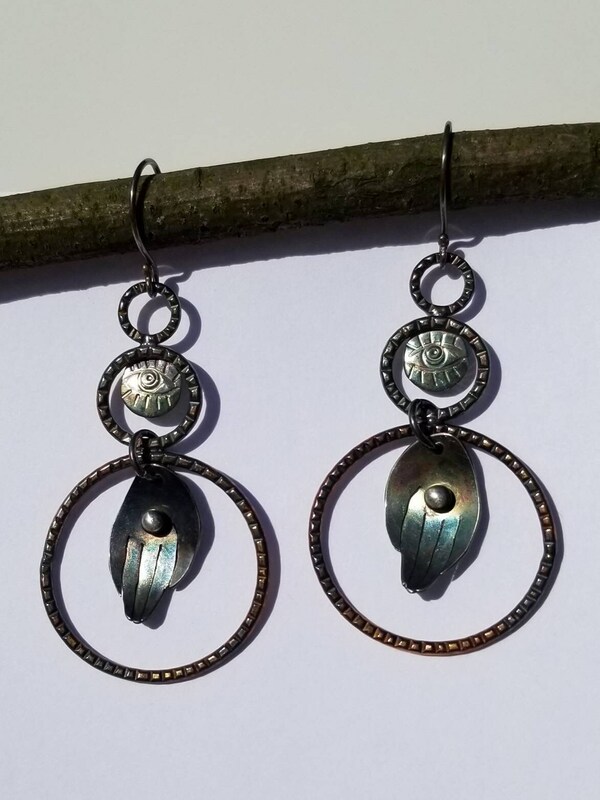 I paired them with double silver hoops with hand stamped design and mystic eye motif. 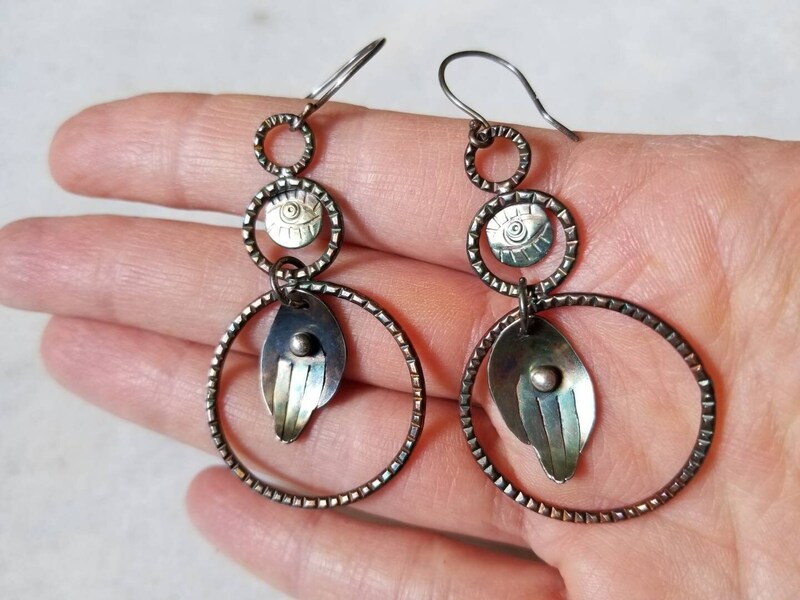 I patinated the earrings to bring out the texture and details. 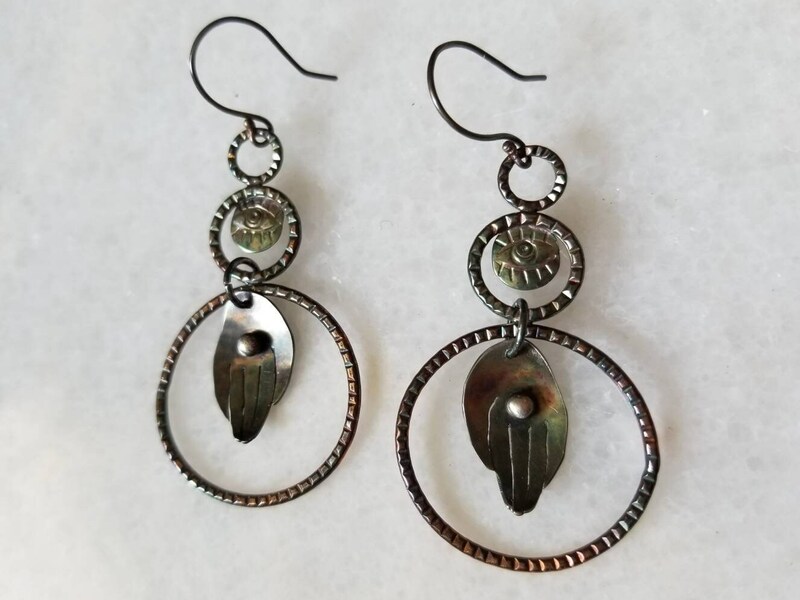 The earrings are approximately 2.5 inches long, 1.2 inches wide and one of a kind.